darkSpyro - Spyro and Skylanders Forum - Spyro the Dragon - Lets remake this game in HD! darkSpyro - Spyro and Skylanders Forum > Spyro the Dragon > Lets remake this game in HD! Lets remake this game in HD! 1. You'll need a bigger production team than that. I think you're underestimating what goes into an HD remake of a 3D game, especially if you want to do it well. 2. Depending on the quality of the HD remake, iOS, Android, and Kindle will probably not be able to support the game. 3. You're gonna need a relatively hefty budget, especially if you want to port to all of those systems. It's not a free job. 4. Your grammar needs work and will not pass in the menus of your game. Nobody will be able to understand it when resume game level select options return to homeworld exit game are all stuck together like that. 5. You need to get the rights to the Spyro franchise from Activision. Good luck with that. You'll need it. 6. 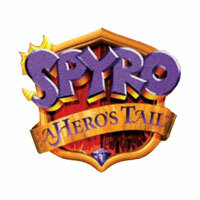 Even if Bobby Kotick died on the spot and was replaced with a new CEO that loves 3D platformers and despises Call of Duty to the point of canceling the series and devoting all of its resources to HD remakes, they would not allow you to make this game exclusive to a Spyro fan site for free where more than half the current userbase doesn't know or care about the old Spyro games. That still leaves out the issue of copyright and budgeting. A job like this will require at least a few hundred thousand dollars. You could try and get a Kickstarter going, but then there's copyrights. A dev team was making a fighting game based on My Little Pony that was close to being released. Was funded on their own, they didn't accept donations, and the game was going to be free, just like yours. But just a month before launch it got slammed down and the dev team nearly got sued because they didn't have the rights to the MLP franchise. And Hasbro is typically one of the more lenient corporations when it comes to copyright laws. Activision may not be as forgiving should you try and do a full fledged remake/title without their permission. EDIT: Thinking about it a little more, maybe things would be different. Hasbro went down on the game supposedly due to both use of license without permission and potential damage to the image of the series (they don't usually fight). Even still, I wouldn't take the chance of doing it under Activision's nose. Should they pursue legal action against you it wouldn't be pretty. Activision probably would not care about a fan project, i will put a disclamer before the Press start screen that says i dont own spyro. As much as I wish it were that simple, it isn't. Maybe they won't care. I still wouldn't take the chance. EDIT: Actually they WOULD care since I just remembered that you aren't simply keeping this on PC. You're trying to bring this to consoles, which would require a publisher and approval from the companies that own the respective systems. There's no way you'd get by with an HD remake of a Spyro game on consoles without the approval of the copyright owner or Microsoft/Sony/Nintendo. If he wants to work at Activision maybe this would be a good tech demo to what he can do. But actually releasing it to the public could invoke copyright law and may not be the greatest idea. And it comes down to budget still. You'll need a big lump sum of cash to do this right and get a good amount of employees. Not everybody will be on board and will likely say similar things to me. I would love for a good HD remake for the original trilogy to happen, but there's just too many roadblocks for a fan project like this to get off the ground. Sorry. Well, you have absolutely no idea about game design or franchise licencing. It's impossible on the basis of legal grounds. The Spyro franchise is not in the public domain and the trademark holders (currently ActiVision) will slam you with a cease and desist. That's why this isn't going to happen. Also, this fandom can't/won't do anything on this scale. Dozens of fan games, films, and remakes have been proposed, started, and abandoned over the years with not a single one that I've ever seen get even close to finished. I think it's completely possible to do it from the ground up. Maybe the death animations can be updated to be funnier than the originals. I had a dream last night that Electronic Gaming Monthly had a Spyro-themed issue talking about a PS3/4 HD collector's edition of the original trilogy. It was neat, but the character redesigns were just weird and even EGM was like "well, here's some concept art and beta screenshots, but we're not sure this is even going to happen". I tried to get a similar thing going. It's not goin to happen. Sorry to crush your dreams but legal reasons. Also fan projects keep getting abandoned, and i doubt this well see the light of day. Honestly id like to see this happen. Hate to sound rude, but it's not even legal reasons why this isn't possible. People aren't skilled enough to remake a game from scratch, designing textures 5x as large as the original 64px textures. That alone is a challenge, let alone the controls, feel, etc. I think it's better to focus on things like texture hacks or work on your own smaller fangames. I agree with you Crystal Fissure. I see you've got a point. Hey, it's cool. Your the producer of my game, so that's something . And given that my game is a spiritual successor to PlayStation platformers, it's a similar direction.